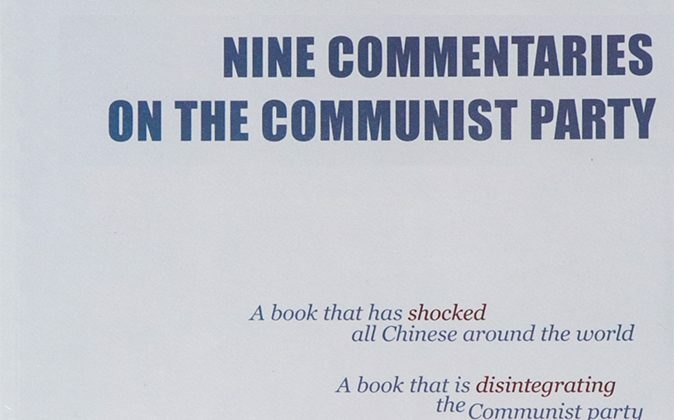 The 55-year history of the CCP is written with blood and lies. The stories behind this bloody history are both extremely tragic and rarely known. Under the rule of the CCP, 60 to 80 million innocent Chinese people have been killed, leaving their broken families behind. Many people wonder why the CCP kills. While the CCP recently suppressed protesting crowds in Hanyuan with gunshots [in November 2004] and continues its brutal persecution of Falun Gong practitioners, many people wonder whether they will ever see the day when the CCP will learn to speak with words rather than guns. Mao Zedong summarized the purpose of the Cultural Revolution, “After the chaos the world reaches peace, but in seven or eight years, the chaos needs to happen again.” In other words, there should be a political revolution every seven or eight years, and a crowd of people needs to be killed every seven or eight years. A supporting ideology and practical requirements lie behind the CCP’s slaughters. Ideologically, the CCP believes in the “dictatorship of the proletariat” and “continuous revolution under the dictatorship of the proletariat.” Therefore, after the CCP took over China, it killed the landowners to resolve problems with production relationships in rural areas. It killed the capitalists to reach the goal of commercial and industrial reform and solve the production relationships in the cities. After these two classes were eliminated, the problems related to the economic base were basically solved. Similarly, solving the problems related to the superstructure also called for slaughter. The suppressions of the Hu Feng Anti-Party Group and the Anti-Rightist Movement eliminated the intellectuals. Killing the Christians, Taoists, Buddhists, and popular folk groups solved the problem of religions. Mass murders during the Cultural Revolution established, culturally and politically, the CCP’s absolute leadership. The Tiananmen Square massacre was used to prevent political crisis and squelch democratic demands. The persecution of Falun Gong is meant to resolve the issues of belief and traditional healing. These actions were all necessary for the CCP to strengthen its power and maintain its rule in the face of continual financial crisis (prices for consumer goods skyrocketed after the CCP took power, and China’s economy almost collapsed after the Cultural Revolution), political crisis (some people not following the Party’s orders or some others wanting to share political rights with the Party), and crisis of belief (the disintegration of the former Soviet Union, political changes in Eastern Europe, and the Falun Gong issue). Except for the Falun Gong issue, almost all the foregoing political movements were utilized to revive the evil specter of the CCP and incite its desire for revolution. The CCP also used these political movements to test CCP members, eliminating those who did not meet the Party’s requirements. Recurring slaughters every seven or eight years serves to refresh people’s memory of terror. Killing is also necessary for practical reasons. The Communist Party began as a group of thugs and scoundrels who killed to obtain power. Once this precedent was set, there was no going back. Constant terror was needed to intimidate people and force them to accept, out of fear, the absolute rule of the CCP. On the surface, it may appear that the CCP was “forced to kill” and that various incidents just happened to irritate the CCP evil specter and accidentally trigger the CCP’s killing mechanism. In truth, these incidents serve to disguise the Party’s need to kill, and periodical killing is required by the CCP. Killing has become one of the most essential ways for the CCP to maintain power. With the escalation of its bloody debts, laying down its butcher knife would encourage people to take vengeance for the CCP’s criminal acts. Therefore, the CCP not only needed to conduct copious and thorough killing, but the slaughter also had to be done in a most brutal fashion to intimidate the populace effectively, especially early on, when the CCP was establishing its rule. Since the purpose of the killing was to instill the greatest terror, the CCP selected targets for destruction arbitrarily and irrationally. In every political movement, the CCP used the strategy of genocide. Take the Suppression of the Counter-Revolutionary Movement as an example. The CCP did not really suppress the reactionary behaviors, but the people whom they called the counter-revolutionaries. If one had been enlisted and served a few days in the KMT Army but did absolutely nothing political after the CCP gained power, this person would still be killed because of his “reactionary history.” In the process of land reform, in order to remove the “root of the problem,” the CCP often killed a landowner’s entire family. Since 1949, the CCP has persecuted more than half the people in China. An estimated 60 million to 80 million people died from unnatural causes. This number exceeds the total number of deaths in both World Wars combined. Conversely, the CCP holds that “The history of all hitherto existing society is the history of class struggles.” In order to keep alive the “struggles” within society, hatred must be generated. Not only does the CCP take lives, it encourages people to kill each other. It strives to desensitize people toward others’ suffering by surrounding them with constant killing. It wants them to become numb from frequent exposure to inhumane brutality and develop the mentality that the best you can hope for is to avoid being persecuted. All these lessons taught by brutal suppression enable the CCP to maintain its rule. In addition to the destruction of countless lives, the CCP also destroyed the soul of the Chinese people. A great many people have become conditioned to react to the CCP’s threats by entirely surrendering their reason and their principles. In a sense, these people’s souls have died—something more frightening than physical death. Before the CCP was in power, Mao Zedong wrote, “We definitely do not apply a policy of benevolence to the counter-revolutionaries and towards the reactionary activities of the reactionary classes.” In other words, even before the CCP took over Beijing, it had already made up its mind to act tyrannically under the euphemism of the People’s Democratic Dictatorship. The following are a few examples. In March 1950, the CCP announced “Orders to Strictly Suppress Reactionary Elements,” which is historically known as the movement of Suppression of the Counter-Revolutionaries. Mao even recommended, “In rural areas, to kill the counter-revolutionaries, there should be over one thousandth of the total population killed. … In the cities, it should be less than one thousandth.” The population of China at that time was approximately 600 million, and this “royal order” from Mao would have caused at least 600,000 deaths. Nobody knows where this ratio of one-thousandth came from. Perhaps, on a whim, Mao decided these 600,000 lives should be enough to lay the foundation for creating fear among the people, and thus ordered it to happen. While the Suppression of Counter-Revolutionaries was being hotly implemented, land reform was also taking place on a large scale. In fact, the CCP had already started land reform within its occupied areas in the late 1920s. On the surface, land reform appeared to advocate an ideal similar to that of the Heavenly Kingdom of Taiping: All would have land to farm. It was really just an excuse to kill. Tao Zhu, who ranked 4th in the CCP afterwards, had a slogan for land reform: “Every village bleeds, every household fights,” indicating that in every village the landowners must die. The most common way to kill during the land reform was known as the Struggle Meeting. Land reform could have been achieved without killing. It could have been done in the same way as the Taiwanese government implemented its land reform by purchasing the property from the landowners. However, as the CCP originated from a group of thugs and lumpen proletariat, it only knew how to rob. Fearing it might suffer revenge after robbing, the CCP naturally needed to kill the victims, thus stamping out the source of potential trouble. The most common way to kill during the land reform was known as the Struggle Meeting. The CCP fabricated crimes and charged the landowners or rich farmers. The public was asked how they should be punished. Some CCP members or activists were already planted in the crowd to shout, “We should kill them!” and the landowners and rich peasants were then executed on the spot. At that time, whoever owned land in the villages was classified as a “bully.” Those who often took advantage of the peasants were called “mean bullies;” those who often helped with repairing public facilities and donated money to schools and for natural disaster relief were called “kind bullies;” and those who did nothing were called “still or silent bullies.” A classification like this was meaningless because all the “bullies” ended up being executed right away regardless of what “bully” category they belonged to. By the end of 1952, the CCP-published number of executed “reactionary elements” was about 2.4 million. Actually, the total death toll of landowners and former KMT government officials below the county level was at least 5 million. The Suppression of the Counter-Revolutionaries and land reform had three direct results. First, former local officials who had been selected through clan-based autonomy were eliminated. The CCP killed all the management personnel in the previous system and realized complete control of rural areas by installing a Party branch in each village. Second, a huge amount of wealth was obtained by stealing and robbing. Third, civilians were terrorized by the brutal suppression against the landowners and rich farmers. Mao Zedong’s letter to his wife Jiang Qing (1966). Karl Marx and Frederick Engels, “The Communist Manifesto” (1848). Mao Zedong, “The People’s Democratic Dictatorship” (1949). Mao Zedong, “We Must Fully Promote [the Suppression of Counter-Revolutionaries] So Every Family Is Informed” (1951). Mao Zedong, “We Must Forcefully and Accurately Strike the Counter-Revolutionaries” (1951). The Heavenly Kingdom of Taiping (1851–1864), also known as the Taiping Rebellion, was one of the bloodiest conflicts in Chinese history. It was a clash between the forces of Imperial China and those inspired by a self-proclaimed mystic of the Hakka cultural group named Hong Xiuquan, who was also a Christian convert. At least 30 million people are believed to have died.